Blackberry is planning to launch a new color of the Key2 smartphone. As per the reports, the new color of the Blackberry Key2 will be Red color which will be for the Europe markets and to be launched soon. 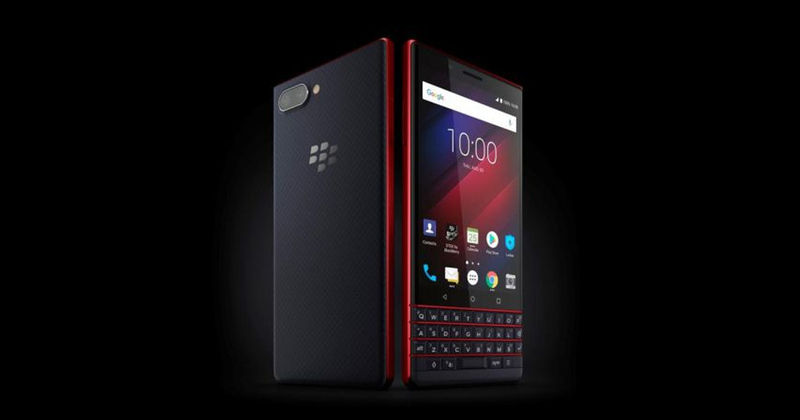 It is speculated that the new color might be same as of the Blackberry Key2 LE which also comes in “Atomic” Red color and for the keyboard, it has red frames and red accents. The BlackBerry Key2 which was launched in 2018 in foreign markets and as well as in India costs Rs 42,990 across channels including Amazon India. The Key2 has a chassis in a square shape which is built using series- aluminium. The company gave more importance to the typing experience in the BlackBerry Key2. The keys are more responsive and 20 percent large. The keyboard also had a fingerprint sensor and gesture support. In terms of design, the smartphone sports a 4.5-inch display with the screen resolution of 1620 x 1080 pixels and has the aspect ratio of 3:2. The BlackBerry Key2 is powered by a Snapdragon 660 SoC. It holds 6GB of RAM and 64GB of internal memory which is expandable via a microSD card slot up to 256GB. The device packs 3,500 mAh battery which supports Quick Charge 3.0 technology. In terms of optics, at the back, the smartphone has dual camera that has two 12MP sensors which works side-by-side. The camera has a portrait mode and offers 2x lossless zoom. At the front, the smartphone has 8MP for taking selfies and for video calling. In terms of software, the smartphone runs on Android 8.1 operating system. Blackberry also added its apps like Hub, DTEK security app, Priority Edge, and Calendar.